The Federal Government is planning changes to primary health care with the introduction of Primary Health Networks. This follows a review of Medicare Locals, undertaken by Professor John Horvath and released in May 2014, recommending replacing Medicare Locals with a smaller number of Primary Health Organisations. SNSBML welcomes the introduction of Primary Health Networks (PHN’s) which will become operational from 1st July 2015. So how will PHN’s help you? The new PHN’s will work directly with GPs, specialists, hospitals and other primary care providers to provide integrated health services across local communities to make it easier for anyone, especially those in need of coordinated care, to access to a range of health care providers. PHNs are anticipated to be managed by a skills based board and will be supported by local GP-led clinical councils. The new organisations will be required to establish Community Advisory Committees (CAC’s) to ensure that PHN decisions are patient-centred and address the needs of the community first. The Federal Government announced on October 15th that 9 PHN’s will be established in NSW and that the new Northern Sydney PHN boundary would encompass and align with the Northern Sydney Local Health District region. Primary Health Networks will not deliver direct services. The Sydney North Shore and Beaches Medicare Local has always been careful not to compete against our members and providers, therefore the PHN model sits well within our current culture and operational model. Please email info@snsbml.org.au if you would like to gain any further information. The Great Barrier Reef remains the best managed marine ecosystem in the world. This was confirmed today by the release of the 2015 State Party Report on the Great Barrier Reef World Heritage Area which highlights improvements in the management, protection and health of the iconic reef. The report has been submitted for consideration by the World Heritage Committee and clearly demonstrates that the Great Barrier Reef does not warrant being listed as in danger. We know the reef is facing challenges but we are making significant progress. There is strong evidence that our efforts are working. comprehensively addressed every one of them. We have also listened to the concerns of the community. The Australian Government continues to make strong decisions in managing this majestic estate and, along with Queensland, is investing $2 billion for its protection over the next decade. We will work with the Queensland government to ensure strong bipartisan support for the reef continues. Our Reef 2050 Long-Term Sustainability Plan is the most complex and comprehensive analysis of environmental management arrangements ever undertaken in Australia. It has been developed in partnership with stakeholders including environmental representatives, industry tourism and fishing. Together we will use it to drive effective management of the reef well into the future. Our vision is to ensure the Outstanding Universal Value of the Great Barrier Reef continues to improve every decade to 2050 and beyond. We know that the reef still retains the values for which it was listed as a World Heritage Property in 1981. Our substantial investment in better land management in reef catchments is improving water quality leaving the catchments, with the annual sediment load reduced by 11 per cent, pesticides by 28 per cent, and nitrogen by 10 per cent compared to a 2009 baseline. The rezoning of the Great Barrier Reef Marine Park to place one third of it in highly protected areas has resulted in consistently more and larger coral trout and other target fish in zones protected from fishing - and fish populations outside these areas appear to be benefiting too. It was under Labor in 2011 that the World Heritage Committee first raised alarm bells about the health of the Great Barrier Reef. When I became Environment Minister I inherited five major proposals from Labor to dispose of dredge spoil in the Marine Park. We have reduced this to zero and are now taking the next step to enshrine a ban in law. •	Restricted significant port development to existing port limits. •	Continued a crown-of-thorns starfish (COTS) control programme to manage COTS predation on high-value tourism reefs, and licensed tourism operators to undertake this activity. We are absolutely committed to the long-term protection of the Great Barrier Reef as one of Australia's greatest natural icons - and as a vital asset for tourism and jobs in Queensland and Australia. The 2015 State Party Report on the Great Barrier Reef World Heritage Area demonstrates we have a clear plan and a strong commitment to ensure the reef is healthy and resilient - and we are making strong progress. 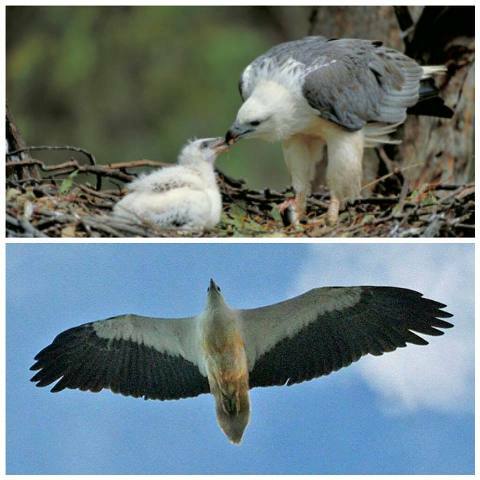 Feb 3, 2015 - URGENT: Supporters of conservation, your support is desperately needed to save the nesting tree of the White Bellied Sea Eagle at Wadalba NW Central Coast. They could start bulldozing any day now! After Wyong Council approved the destruction, the developers are waiting for the Eagle chicks to leave the nest so they can bulldoze the whole area. These majestic birds are listed as threatened in Victoria and Queensland and are meant to be protected under the China-Australia Migratory Bird Agreement (CAMBA). Please send an email calling on Liberal Candidate for Wyong, Sandra Kerr, to urgently push her fellow Liberal party members, The Minister for the Central Coast, Rob Stokes and the Federal Minister for the Environment, Greg Hunt, to take urgent action to see that these amazing birds are immediately protected. Either copy, paste (below) and send email, or feel free to craft your own from info provided. As the Liberal Candidate for Wyong, I ask that you please assist the community in protecting our local breeding pair of White Bellied Sea Eagle's. The China–Australia Migratory Bird Agreement is a treaty between Australia and China to minimise harm to the major areas used by migratory birds which migrate between the two countries. (ii) endeavour to take such measures as may be necessary to restrict or prevent the importation and introduction of animals and plants which are hazardous to the preservation of migratory birds and their environment. Annex: 17. White-bellied Sea-Eagle Haliaeetus leucogaster. 1) To issue orders to immediately put a stop to further habitat destruction of the habitat of the White Bellied Sea Eagle. 2 ) To formally investigate the defective approval processes undertaken by Wyong Shire Council which have lead to an imminent threat to the nesting tree of a threatened species of migratory bird, protected by an International agreement . Please send to below three emails. The Pew Charitable Trusts launched groundbreaking technology that will help authorities monitor, detect, and respond to illicit fishing activity across the world’s oceans. Project Eyes on the Seas, as the system is known, furthers a long-term effort by Pew to dramatically reduce illegal or "pirate" fishing. February 2, 2015 - Because reducing the impacts of feral cats--domestic cats that have returned to the wild--is a priority for conservation efforts across the globe, a research team recently reviewed the animals' diet across Australia and its territorial islands to help consider how they might best be managed. The investigators recorded 400 vertebrate species that feral cats feed on or kill in Australia, including 16 globally threatened birds, mammals and reptiles. The cats feed mainly on rabbits when they are available, but they switch to other food groups when they are not. Reptiles were eaten most frequently in desert areas, whereas medium-sized mammals, such as possums and bandicoots, were eaten most frequently in the temperate southeast. "Our most significant finding was a pattern of prey-switching from rabbits to small native mammals," said Tim Doherty, lead author of the Journal of Biogeography study. "This is important because control programs for rabbits could inadvertently lead to feral cats killing more native mammals instead. This means that land managers should use a multi-species approach for pest animal control." At the same time, plastics in consumer products have become subject to increasing scrutiny regarding their potential effects on human health. Bisphenol A (BPA),2 a component of polycarbonate plastics and suspected endocrine disruptor, is one of the most widely known chemicals of interest. But BPA is only one of many monomers, plasticizers, flame retardants, antimicrobials, and other chemicals used in plastics manufacturing3 that are able to migrate into the environment. At the junction of these two lines of inquiry is an emerging third field that is in many ways even more complex and less well understood: investigating human exposures to and potential health effects of plastics that have entered the marine food chain. Studies have demonstrated plastics’ tendency to sorb (take up) persistent, bioaccumulative, and toxic substances, which are present in trace quantities in almost all water bodies.4 The constituents of plastics, as well as the chemicals and metals they sorb, can travel into the bodies of marine organisms upon consumption,5,6,7,8,9 where they may concentrate and climb the food chain, ultimately into humans. This topic has attracted interest and funding from the U.S. Environmental Protection Agency (EPA), the National Oceanic and Atmospheric Administration (NOAA), and the National Academy of Sciences (NAS), as well as researchers, nonprofit groups, and institutions around the world. Viewpoints on the human health risks of marine debris are nearly as complex as the underlying science, as was evident at an inaugural EPA and NAS symposium on the topic held in Washington, DC, in April 2014. In addition to myriad small details, the researchers in attendance considered an overarching question: Within the context of limited oceanographic research funding, the variety of other problems affecting ocean health (including overfishing and acidification), and the extent of humans’ daily and direct exposures to potentially harmful chemicals from consumer plastics and other sources—how concerned should we be about marine plastics as far as human health goes? This Review is focusing on the management of the Commonwealth Marine Reserves networks that were declared in 2012. The Review has been established to build a strong evidence base to guide how these reserves should be managed in the future, and includes two components: an Expert Scientific Panel to review the science supporting zonation and marine reserve management; and five Bioregional Advisory Panels to consult stakeholders. This survey consists of 20 questions and should take approximately 15-20 minutes to complete. You do not have to answer all the questions in the survey for your response to be considered. The South-east Commonwealth Marine Reserves Network, the Great Barrier Reef Marine Park and marine reserves managed by the States and the Northern Territory (generally begins 3 nautical miles (5.5 kilometres) offshore) are not affected by this Review. If you have, and wish to provide, more detailed information we encourage you to make a separate written submission to the Review. 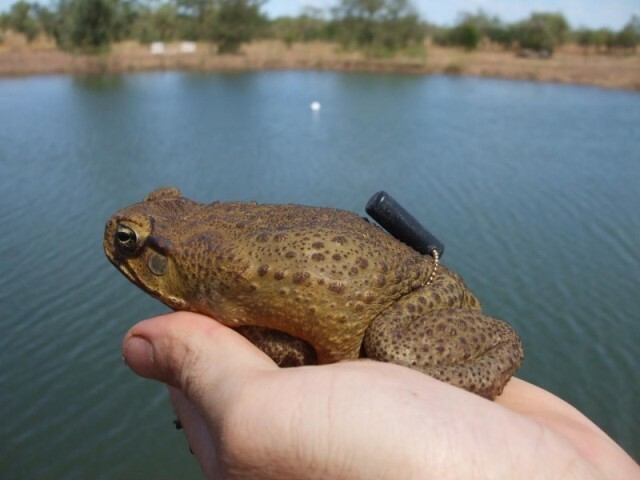 February 3, 2015 - Preventing cane toads from entering human-made dams to cool down in the hot, arid zones of Australia kills them in large numbers and is an effective way to stop their spread, UNSW-led research shows. Pastoralists build dams to provide water for livestock such as cattle, but these human-made sources of water attract toads and have vastly increased the areas that the pests can invade. "If conducted strategically, excluding toads from human-made water sources could effectively control their populations across large areas of Australia and relieve the impacts that cane toads are having on native predators and dung beetles," says Associate Professor Letnic. 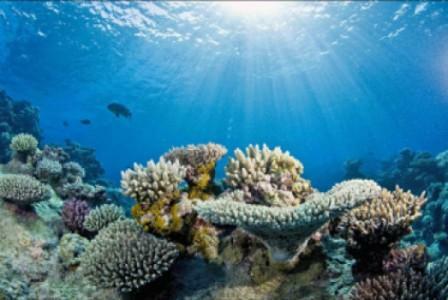 January 22, 2015 – The coverage of living corals on Australia's Great Barrier Reef could decline to less than 10 percent if ocean warming continues, according to a new study that explores the short- and long-term consequences of environmental changes to the reef. 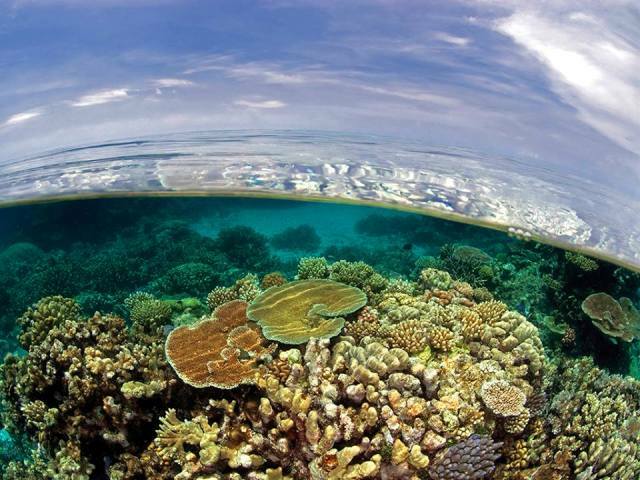 Environmental change has caused the loss of more than half the world's reef building corals. Coral cover, a measure of the percentage of the seafloor covered by living coral, is now just 10-20 percent worldwide. The Great Barrier Reef, once thought to be one of the more pristine global reef systems, has lost half of its coral cover in only the last 27 years. Overfishing, coastal pollution and increased greenhouse gas emissions leading to increased temperatures and ocean acidification, as well as other human impacts are all affecting the delicate balance maintained in coral reef ecosystems. In the short term, with increasing temperatures as well as local human-made threats like coastal development, pollution, and over-fishing, the study found that corals--tiny animals related to jellyfish--would be over-run by seaweed which would, in effect, suffocate them. In the longer term, interactions among reef organisms would lead to dominance by other groups, including sponges and soft corals known as gorgonians. Co-author Matthew Spencer, who conducted the study while a sabbatical visitor at NIMBioS, said that the findings are not only important for predicting reef futures under climate change but could also be applied to other ecosystems. "The beauty of this study is that the same approach should work for other systems, provided enough data are available," he said. "Our next plan is to use it to model the dynamics of European forests." The coverage of living corals on Australia's Great Barrier Reef could decline to less than 10 percent if ocean warming continues, according to a new study. Credit: Catlin Seaview Survey/ Underwater Earth. 02 February 2015 - OPINION: There were two important events in the climate calendar last year that were hidden by the announcements around the G20 by the US, China and India. One was the recent shift from the UN Environment Program and UN Framework Convention on Climate Change to talking not only of zero emissions, but of negative emissions – of going beyond zero emissions. This is an area Beyond Zero Emissions (BZE), the University of Melbourne and University of New South Wales have been researching and providing pathways towards for some years. What was once seen as ‘radical’ has now become mainstream by respected international organisations. So far, the research has highlighted solutions to reducing carbon pollution across various sectors (energy, buildings, transport), and mapped out ways in which these sectors can move to zero emissions, thus ensuring they and associated businesses remain relevant on a viable planet. Last year, one piece of research demonstrated not only how to move to zero emissions, but how to move Australia’s economy beyond zero emissions – into the ‘negative emissions’ UNEP and UNFCCC have outlined as necessary to avoid the worst ravages of a changing climate. There’s a gap in the Australian identity which has been formed out of a history of relying on the land for economic growth. In the changes to the natural landscape to make way for agriculture over the past 200 years, by rugged people conquering a ‘harsh’ landscape; by struggle and dust and livestock. Most Australians have never been to ‘the bush’ or ‘the outback’. Many would probably prefer a jaunt in Asia. And this disconnect, between how we have seen ourselves and how we actually are, has meant we have kept romantic notions of rural Australia intact whilst never actually engaging with it, or perhaps even wanting to. This disconnect could impact heavily on Australia’s role in reducing carbon pollution. Because it’s out here, amongst the trees and the paddocks, that the real work in addressing climate change must happen. It’s out here that the carbon pollution genie can be put back in the bottle. And out here is the only place that it can happen. Left unchecked, climate change will result in more droughts, floods and bushfires. Farmers in NSW and Queensland are yet again suffering though extended drought. Increasingly, sons and daughters do not want to take on the family farm. Rates of depression and suicide are high. Left unchecked, the way we use land in Australia could be responsible for as much as half of all emissions in this country. This is a far call from the substantial attention placed on the energy and transport sectors in achieving emissions reductions. Dealing with emissions reductions on the land is sensitive stuff. We need farmers, land management groups, Indigenous peoples and others with experience on the land to solve this issue. It requires social and economic transformation. Whilst the ‘locavore’ movement has galvanised people to cut their ‘carbon miles’ by buying from local producers, it will take more than that if we want to keep agriculture viable in this country. It will take a reduction in the amount of meat people eat regularly. Eating less red meat will have a huge impact. Reducing herd size by 20 per cent will equal a reduction of eleven million tonnes of greenhouse gas pollution every year. It will mean an end to land clearing, and an end to the reclearing of previously cleared land. Tree clearing has made eastern and south-western Australia hotter, and eastern Australia drier than would otherwise have occurred with global climate change. Rainfall has decreased due to tree clearing in Queensland, New South Wales and southwest Western Australia since the1950s, leading to more drought, and less resilience to climate change. These changes are not just necessary to slow climate change, they’re necessary if we are to maintain an agricultural industry in this country. It will mean embracing new technologies and methods that keep topsoils intact; allowing native vegetation to grow alongside crops and livestock; changing the way we burn savannah landscapes in the northern regions of Australia. We need to let go of the idea that Australia could become Asia’s foodbowl. It can’t. Not now, and definitely not in a future where our growing areas are constrained by a changed climate. Leaving existing forests and woodlands to soak up carbon pollution rather than add to it will also play a key role. If left to recover from clearfell logging, the native forests of south east Australia can sequester as much as 7.5 billion tonnes, or ten years worth of carbon pollution. Revegetation offers the opportunity to drought proof farms and provide alternative revenue streams for farmers. 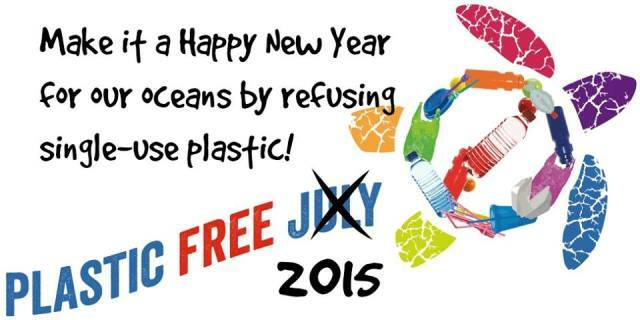 This is a challenging issue, but one that must be addressed if we are go beyond zero. Dr Stephen Bygrave is an Adjunct Professor in Science at UNSW. This opinion piece was first published in Renew Economy. Scientists from the Australian Institute of Marine Science (AIMS) and the Hawaii Institute of Marine Biology are studying how Assisted Evolution (AE) may help some corals adapt better to climate change. Their research has been published today in the international peer-reviewed journal, Proceedings of the National Academy of Sciences (PNAS). “Assisted evolution is the acceleration of naturally occurring evolutionary processes to enhance certain traits. Various AE approaches have been widely used for the improvement of commercial species, including crop species, wood trees and livestock. AE approaches include selective breeding and more recently, the manipulation of the microbial communities associated with plants and animals,” said AIMS scientist, Dr Madeleine van Oppen. “We plan to evaluate the effectiveness and feasibility of four different AE approaches to enhance the environmental stress tolerance of reef-building corals. Over the past several years we have already done some pilot work in AE, however, our research is in the early stages,” Dr van Oppen explained. The AE in coral concept was ‘spawned’ by decades of work by the two teams unravelling the mechanisms of adaptation and acclimatisation in corals, as well as a number of observations across the Indo-Pacific by other researchers showing corals have naturally adapted or acclimatised to areas with elevated temperature and that some corals have become more tolerant to bleaching* over successive bleaching events. “Such observations indicate that under the right circumstances, acclimatisation or adaptation can occur over relatively short time scales. If we could promote and enhance this natural adaptive ability across several coral species then this could help increase reef resilience in the face of current and future climate change,” said Dr Ruth Gates from the University of Hawaii. “This is important as the economic value of coral reefs through commercial and recreational fisheries, tourism, drug discovery, and coastal protection is immense,” Dr Gates added. “This will require careful ecological risk assessment together with a consideration of the ethical and socioeconomic implications,” concluded Dr van Oppen. *Coral bleaching is a stress response manifested by the loss of the algae that live inside the coral’s tissues, leading to a paling of the coral as the coral’s skeleton becomes visible through its now translucent tissues. Black Bittern sighted in Warriewood Wetlands January 31 2015. Video quality is pretty poor however it is due to me not really seeing what I had the camera aimed at due to sever side lighting from setting winter sun, still better than not having anything I guess. Designers and companies are currently invited to submit their products in 31 categories. An international jury of independent design experts will assess each product and project. There is no digital preselection phase; each object is assessed directly in situ. The best achievements will be awarded the sought-after seal of quality, the “Red Dot”. The award-winning designs are traditionally celebrated at the festive Red Dot Gala in the summertime and exhibited in the Red Dot Design Museum Essen. For further information and to register, go to www.red-dot.org/pd. The 300-metre tall “We’ve the Zenith” is the latest landmark of Busan’s Marine City. As the impressively tall residential building, the 80-storey high-rise is the extraordinary outcome of the collaboration between outstanding architects, engineers and landscape designers. The building’s contours are reminiscent of the beautiful waves of the sea at Haeundae and of a fully opened lotus flower, the symbol of prosperity. The Zenith is not only an aesthetic feast for the eyes, but also the most secure skyscraper in the world. With a safe haven on every third floor, residents do not have to worry about their safety in the event of danger. Statement by the jury: " By meeting the highest expectations in terms of form and execution, “We’ve the Zenith” has become a distinct point of reference in its surroundings." 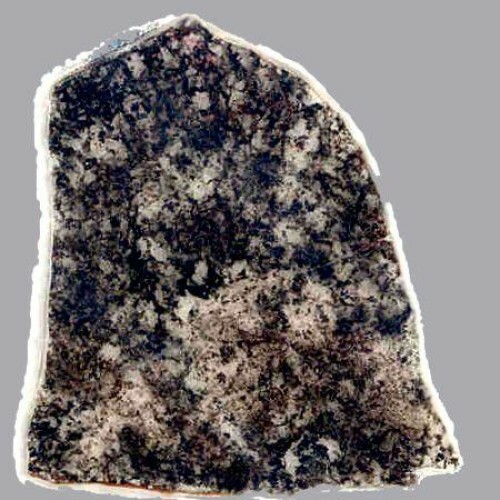 February 3, 2015 - An international team of scientists has discovered the greatest absence of evolution ever reported -- a type of deep-sea microorganism that appears not to have evolved over more than 2 billion years. But the researchers say that the organisms' lack of evolution actually supports Charles Darwin's theory of evolution. The findings are published online by the Proceedings of the National Academy of Sciences. "It seems astounding that life has not evolved for more than 2 billion years -- nearly half the history of Earth," said J. William Schopf, a UCLA professor of earth, planetary and space sciences in the UCLA College who was the study's lead author. "Given that evolution is a fact, this lack of evolution needs to be explained." An incredibly rare event captured in 4K off the coast of Dana Point in Southern California shows a large number of sperm whales playing together near the ocean's surface. More than 90% of coastal tourist parks in NSW are located adjacent to surf beaches that are rated moderately to highly hazardous for swimming, a UNSW study shows. About a third of these beaches are completely unpatrolled, and another 61% are patrolled for less than 25% of the time, putting local and international visitors to the parks at risk of drowning. “These stark statistics should be of concern to tourist park operators, beach users and local governments,” says study author, Associate Professor Rob Brander, of the UNSW School of Biological Earth and Environmental Sciences. “Our study also shows visitors to the southern region of NSW are possibly at greater risk due to a higher percentage of unpatrolled and hazardous beaches. To the north of Sydney, about 27% of beaches closest to tourist parks are unpatrolled, while this figure is 50% for parks to the south of Sydney. “Almost all drownings in Australia occur on unpatrolled beaches, outside the flags or after patrol hours. For example, on the Queensland coast, all international tourists who drowned between 1999 and 2004 died in unpatrolled environments,” Associate Professor Brander says. The study, which lists the details of 231 NSW tourist parks and their closest surf beaches, is published in the journal Tourism Management. The researchers, led by Campbell McKay, used hazard ratings from the BeachSafe website, which rank beaches on a scale of 1 to 10, based on their physical features. There are no specific statistics linking drownings to beaches near tourist parks. But Surf Life Saving Australia’s records show that 50% of drownings occur when a person is more than 50 kilometres from their home. Several tragic events have also occurred in recent years near tourist parks. For example, in January 2010, a mother and a father staying at a caravan park in Ballina drowned after saving their two children from a rip current. While it is impractical to have full-time patrols at all beaches, new beach safety campaigns, signs and educational material may be needed to address the risks. “No standardised beach or costal safety education material such as warning signs, brochures or posters, is available to every coastal tourist park,” says Associate Professor Brander. The researchers also recommend the physical hazard rating system for beaches be expanded to take into account other factors such as number of visitors to beaches, how often they are patrolled, and the number and timing of rescues. 3 February 2015 - While animals and humans suffer from similar diseases, it is rare that physicians and veterinarians share their wealth of knowledge with one another. To bridge this gap, the University of Sydney will host an Australian-first conference on 27 February featuring world leaders in nutrition and metabolic diseases. The first Zoobiquity conference ever to be held outside North America will host zoologists, molecular biologists and human and veterinary physicians as they adopt an interdisciplinary approach to nutrition and disease in humans and animals. Leading researchers and clinicians will draw on the latest research from medical and veterinary science to explore how an integrated approach can help to better diagnose, treat and heal both human and animal patients. Speakers will tackle difficult questions on diverse topics ranging from which macronutrients make for good nutritional health, how much salt, water and exercise we need, and why our companion animals are sharing a load of the obesity epidemic. Adjunct Professor Richard Malik, from the University's Centre for Veterinary Education, will bring his international expertise on small animal medicine to provide an evolutionary perspective on the health issues facing humans and animals alike. "We'll explore what makes a good diet for our pets, including the impact of commercial diets on teeth and gum health, and also obesity and the predisposition to develop osteoarthritis," said Adjunct Professor Malik. "Dogs and cats are carnivores that evolved to eat the flesh and bones of prey animals, so it seems sensible for their diet to reflect this. Zoo vets and their nutritionists work with this logic and feed a lot of raw meat on the bone. "Many pet owners are being increasingly persuaded to only feed their cats and dogs premium dry food. However, exclusively feeding your cat or dog this cereal-based high carbohydrate diet may not be in their best interests. There are high levels of obesity in areas such as the United States, where animals are almost exclusively fed these diets." Other key topics up for debate include unexpected dietary dangers for both humans and animals, which organisers believe will be an eye opener to many people. There will be many opportunities for discussion and debate. Founder of the Zoobiquity Conferences, Dr Barbara Natterson-Horowitz, a human cardiologist from University of California, will open the conference via video with an overview of the Zoobiquity journey to date. The idea that ignited Zoobiquity came when Dr Natterson-Horowitz saw a sub-human primate at the Los Angeles Zoo. After realising the advantages of studying comparative medicine, she wrote a book on the subject and has since run three Zoobiquity conferences in the US. The conferences have garnered much attention for facilitating discussion between human physicians and veterinarians. Zoobiquity will be jointly hosted by the Centre for Veterinary Education, Sydney Medical School and the Charles Perkins Centre at the University of Sydney. The teachings of Gandhi are more relevant than ever, with Islamophobia, terrorism and climate change standing in the way of peace, his granddaughter Ela Gandhi says. Ms Gandhi, a peace activist and former South African MP who spent nine years under house arrest during the struggle against apartheid, delivered UNSW’s fourth annual Gandhi Oration on Friday to commemorate India’s Martyrs’ Day. The event included a question and answer session involving Ms Gandhi, Patron of the Australia India Institute (UNSW Node) Mr Neville Roach and outgoing Vice-Chancellor Professor Fred Hilmer. Held on the anniversary of Mahatma Gandhi’s assassination on 30 January 1948, the oration is delivered by a person whose life work exemplifies Gandhian ideals. It follows a community Remembrance Ceremony on the University's Library Lawn, home to the Mahatma Gandhi bust. Ms Gandhi used the occasion to stress her grandfather’s philosophy of non-violence and simple lifestyle – ideals which she said held the key to solving some of modern society’s biggest problems, including the cycle of extremist violence and environmental destruction. “Perhaps some important questions are how much respect do we have for life? How much faith do we have in ourselves and in others? What do we teach the next generation?” she said. She lamented that humanity had not heeded the Mahatma’s warnings 82 years ago about overconsumption. If we had, “today we would not be suffering the effects of climate change and worrying about how to conserve our planet”. Ms Gandhi offered a candid insight into growing up on South Africa’s Phoenix Settlement, a commune where her grandfather trained political activists in his techniques of satyagraha, or passive resistance. She said the most important lessons were that people did and could change, that all work and people were to be respected equally and that no one faith had precedence. “Gandhi-ji’s training was that God didn’t ask to be imprisoned in any one building, whether it’s a temple or a mosque or a church. He didn’t ask to be imprisoned, he’s everywhere. He or she…,” she said. Ms Gandhi said the world was increasingly looking for quick fixes to complex problems, citing the death penalty, and the case of the Bali Nine, as a topical example in Australia. Her own experience with South Africa’s Truth and Reconciliation Commission was that lasting change required patience and faith. “Whilst there were many people who forgave and were able to shake hands and live together with the perpetrators, and perpetrators who felt really guilty about what they did and changed their own habits, it takes a long time for that to happen,” she said. Asked what her iconic grandfather would have thought about the modern world of weapons, drones and social media, she said he never would have armed himself but “absolutely, if there was a Facebook I think he would be using it very wisely”. Though sports boycotts had helped to end apartheid she said Gandhi may not have approved of the modern world’s sports mania. Instead of competition, she urged small acts of compassion and harmony. The 2015 Gandhi Oration was proudly sponsored by Tata Consultancy Services (TCS). The world's most popular language is more accessible than it looks. Learn not just how characters are composed and structured, but also an easy and innovative way to memorize them. And find out how technology and design are helping bridge the linguistic gap between West and East. February 4, 2015 - The delivery of tiny biodegradable microstructures to heart tissue damaged by heart attack may help repair the tissue and prevent future heart failure. A team led by cardiovascular researchers at the Medical College of Wisconsin (MCW) bioengineered the microstructures to be the same size, shape and stiffness as adult heart muscle cells, or cardiomyocytes, with the goal of releasing biologically active peptides that act as cardioprotective agents. The findings are published in Biomaterials. Paul Goldspink, PhD, associate professor of physiology at MCW, led the study. Heart disease is the leading cause of death across the globe, and there are 610,000 heart attacks and 325,000 recurrent attacks each year. While heart attack survival rates are high, the resulting destruction of heart muscle often leads to heart failure, and current pharmaceuticals do not repair or restore function of the depleted muscle. Dr. Goldspink's lab focuses on exploiting aspects of the chemical and physical environment of the heart via bioengineered structures to restore organ function. This has resulted in the design of a technology that mimics the cellular environment by bringing together biodegradable microstructures bioengineered to be the same size, shape and stiffness as adult muscle cells that can protect and release biologically active peptides. "In this study, we used an animal model and injected the miniaturized structures into the heart following a heart attack, which restored organ function and prevented a series of adverse events that would lead to heart failure," said Dr. Goldspink. "Our hope for this technology is that it might be adapted for delivery of other therapeutic biologicals to support repair of a variety of tissues and pathologies, with the potential for directing tissue regeneration."